“A rising talent who is instructed in serious criminal matters such as murder, fraud and organised crime”. Alex read Law at the University of Manchester before completing his Bar exams at the Inns of Court School of Law in London. He regularly lectures to fellow practitioners on areas of criminal law and has recently delivered a series of lectures on anonymity in criminal proceedings. 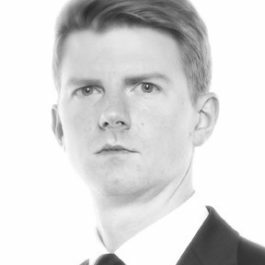 Alex has been a level 4 prosecutor since 2009 and is on the specialist panels for Fraud, Serious Crime and Confiscation. "Recommended for a broad range of criminal matters." "The next generation of stars."